MISSED THE ADVANCED REGISTRATION DEADLINE? YOU CAN STILL REGISTER AND JUMP ON THE DAY OF! Advanced registration just helps us to know how many t-shirts, etc. to order prior to December 28. You will still receive the incentive prizes but it will be after the event when we put in our final order. The Bemidji Jaycees Annual BRRRmidji Plunge is coming into it's 16th year in 2019! This year, we are proud to be a part of Hockey Day MN! This event is a cold water plunge which takes place on Lake Bemidji. Anyone who wishes to take the plunge and jump in the freezing waters can register and raise pledges to do so. The money raised through pledges goes to a variety of local charities and stays right here in the local community. 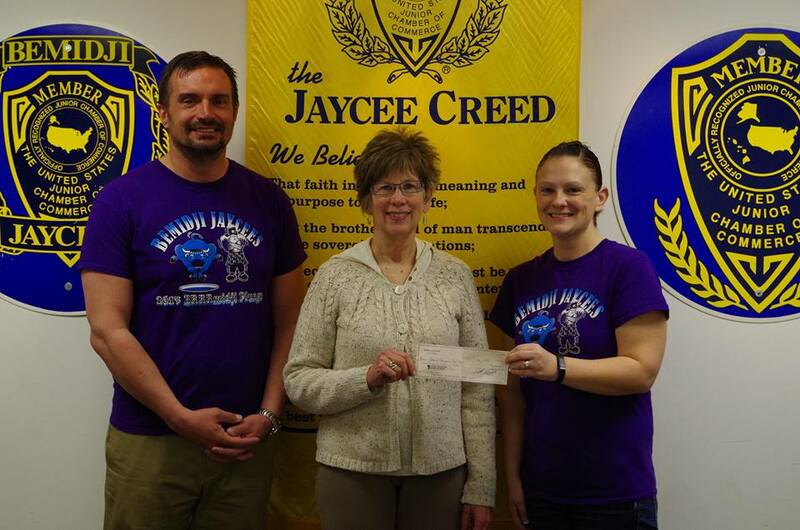 The Bemidji Jaycees, with the help of sponsors, hosts the event, prepares the ice, provides the manpower, and awards the prizes. There are a variety of incentives and awards given out to participants and each year is something new and exciting. We have participants from all over the United States and several other countries taking part every year, many of them in costumes, so you never know what you might see or who you might meet. Come and take the Plunge this year and check it off of your Bucket List! The registration fee includes a t-shirt. Additional incentives will be awarded based on amount raised. We encourage you to register online through our secure SignMeUp registration link. Click on the button below to get started. PLEASE NOTE: By registering for the BRRRmidji Plunge, you give your consent and understand that your photo or video may be taken during the Event. You grant permission to the Bemidji Jaycees and their Official Photographer* to use your photo, video, or likeness in any publicity or promotional publications (e.g., website, newspaper ads and/or reports, bulletin boards, newsletters, programs, brochures, public broadcasting releases, etc.) and to allow the news media to film and/or photograph the Event for broadcast purposes. We would love to have you or your business involved! Please contact us with the form below. 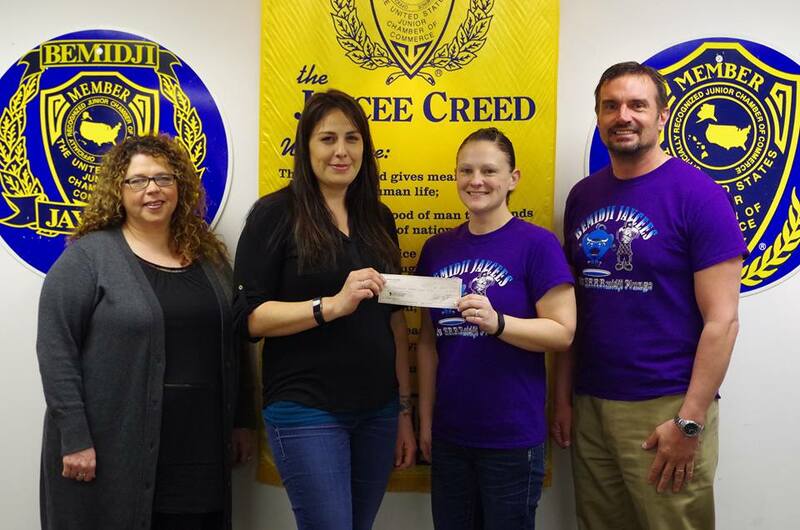 The Bemidji Jaycees recently donated $2,100 to the Northwoods Battered Women's Shelter and $2,090.35 to the Bemidji Community Food Shelf with proceeds from the 2017 Bemidji Jaycees BRRRmidji Plunge! Thank you to everyone who sponsored and participated in the event!